This is one of the books designed by Spencer Levine, whose studio we visited and who talked to us about book design. He worked for Neil Pardington before going out on his own, and I think that the influence of Neil’s design is evident in the books designed by Spencer: clean, classic and uncluttered. 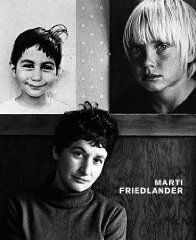 This book is a good example of a cover that uses an image and lets that image speak for itself. 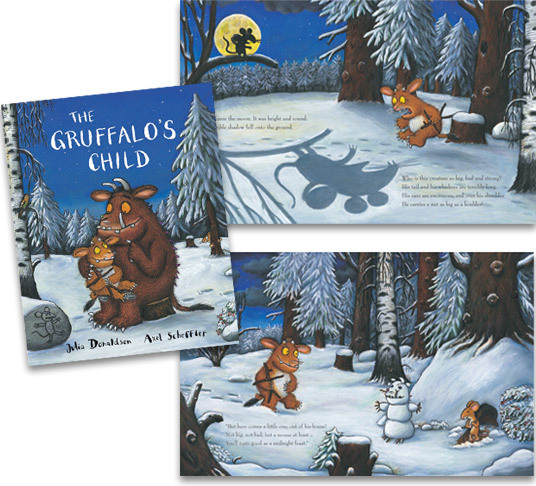 It’s also a good example of the bright colour plus black and white formula I’ve talked about, and it’s worth noting that the colour used on the cover is repeated on the endpapers and throughout the internal design of the book which creates really nice continuity. I noticed that a lot of the books designed by Spencer used colours like the blue here or bright yellow to really nice effect. This is one of the books Neil Pardington brought in to show us as an example of his book design when he spoke to our class. It’s a great example of his style: very clean and clear and uncluttered. 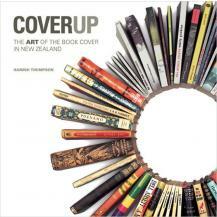 It also incorporates some of the aspects of book design that some of the other designers spoke about. For example, the dust-jacket is a perfect example of what Hamish Thompson said about covers needing attention from all sides and the fold-outs of dust jackets being an ideal place to put text that you don’t want cluttering up a cover. 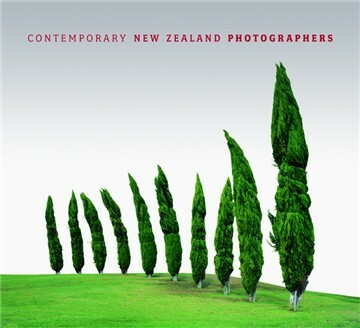 The front cover of Contemporary New Zealand Photographers is simply an image from inside the book with the title along the top and the back cover is another image. So, whichever way you happened to put this book down, it would look good. All the information (blurb, etc) is then included on the inside flaps. I think this is just perfect for a coffee table book like this because it is after all the images that are the most important thing. In terms of internal layout, the same clean and classic feel is apparent. The outside margin is smaller than the inside margin, which kind of goes against classic design but everything’s so well and carefully set out that it works. I think what is really nice about the layout of this book is that it gives each item room to breathe – there’s enough space around every page element that you can notice and appreciate everything in its own right. 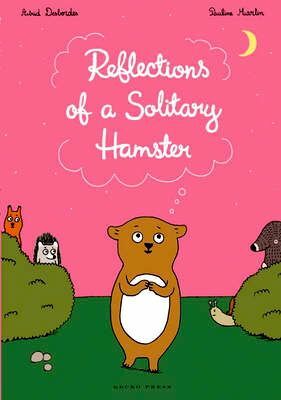 This is another one of the books brought in by Vida Kelly and I’ve included it for the same reasons as I included Wolves: I think it’s an excellent example of the harmony between image and text that’s so important in picture books. Again, there’s only a manageable amount of text on page and it’s worked neatly into spaces provided by the illustration. It’s really obvious that the pictures and the text have been designed in keeping with each other. This book is designed and written by Hamish Thompson and I think it’s a great example of all the aspects of book design he discussed with us when he came to speak to our class. The first thing that he talked to us about was the cover and spine. He gave us this quote from Charles Dickens: ‘There are books of which the backs and covers are the best part’. Which is funny, but is also quite often true! Hamish talked about the fact that the front cover is not the only cover of a book: there’s the spine (which I’ve already touched on) and the back cover to consider too. We don’t always put books down the ‘right’ way so you’re just as likely to see the back cover face-up as you are the front cover. Cover Up is a lovely example of the cover as a whole package: the image is really effective, and is continued on the flaps which you can pull out (this is a really nice touch). Hamish talked about flaps as a really good tool for placing text that you don’t want to clutter up the front or back cover (another nifty variation like that used in Stopover with the blurb on a sticker). Inside, the book is really simply but nicely laid-out. I love the use of the coloured pages next to the title and chapter opening pages. I also think it’s really nice to have the title echo the cover by using the same font and design as is done here. In the introduction spread, I think it’s really interesting to note that the outside margin of the text is much smaller than the inside margin. This is different to the rest of the text in the book, where the outside margin is the largest and often used for captions. It’s also in only one column. I don’t really find this a good or a bad thing: I guess that this has been done to differentiate the foreword from the actual text. It doesn’t impinge upon reading as the lines are still a reasonable length, but it could be a bit of a pain if your hand was in the way when you got to the bottom right-hand corner (as Margaret Cochrane pointed out, there’s no point in including text in a place where your hand might cover it!). I think the main pages are really beautifully laid-out. I like the look of the text in two columns and I think this makes it approachable to read. I also like the use of the outside margins for captions. I think it’s nice to have the page numbers justified to the same place as the main body of text as this makes them very unobtrusive. I also think it’s good to include the name of the artist entry (for example, ‘Evelyn Clouston’) as a header on the recto pages as a reference to where in the book you are and whose image you’re looking at. Like the page numbers, I think these are well-placed on the page so that you hardly notice they are there until you need them, in which case they’re where you’d expect them to be.